After eight years, nine albums, several lineup shifts, and many musical reinventions, the lineup and sound that would bring Fleetwood Mac to the top of the pop world finally fell into place in 1975. Fleetwood Mac, the group’s tenth release (and second with an eponymous title, after the group’s 1968 debut), was the group’s first chart-topping album and spawned their first three Top 20 singles in the US. More importantly, this new sound which fused Fleetwood Mac’s traditional British blues/rock with mid seventies California folk/rock, would be the basis of the group’s magic formula for success for the next decade and a half and reserve them an indelible spot in pop music history. Drummer Mick Fleetwood, bassist John McVie and guitarist Peter Green were all members of the group, John Mayall & the Bluesbreakers , in 1967 when the trio had an opportunity with some free recording studio time. Green was so impressed with the recordings that he suggested that they all break from Mayall and start their own group. When Fleetwood and McVie were hesitant to make the move, Green enticed them by naming the new group Fleetwood Mac after the rhythm players. A year later, the new group released the initial Fleetwood Mac album, a pure blues record that was a Top 5 success in their native UK, despite having no singles. A second album, Mr. Wonderful, followed soon after with the addition of some keyboards and horns. Their third album, Then Play On, in 1969, was recorded mainly at the legendary Chess Records Studio in Chicago and would be the peak of the group’s Peter Green led blues era. Green had a bad experience with LSD which apparently contributed to the onset of schizophrenia and he had to leave the group in 1970. The early 1970s brought much more change for Fleetwood Mac. Between 1970 and 1974 the group released six albums with five different lineups. The most significant change during this period came with the release of 1971’s Future Games, which featured the addition of guitarist/vocalist Bob Welch and Keyboardist/vocalist Christine McVie, the former Christine Perfect now married to John McVie. The group’s sound radically morphed from blues to pop/rock, which caused a decline in their popularity in the UK but a gradually increase in the US. In 1974, Welch convinced the group to relocate from England to Los Angeles, which led to a new recording contract with Warner Brothers. However, after the release of Heroes Are Hard to Find in September 1974, Welch abruptly left the band, leaving the three remaining members scrambling to find a replacement. While in an LA studio with producer Keith Olsen, Fleetwood heard a recording from the album Buckingham Nicks and soon asked vocalist/guitarist Lindsey Buckingham to join the band. Buckingham agreed only if his musical partner and girlfriend Stevie Nicks also become part of the band, and the classic Fleetwood Mac lineup was officially in place on the last day of 1974. Within a month, the quartet was in the recording studio, working on arrangements of individual compositions for a new album, co-produced by Olsen. “Monday Morning” starts the record off as a driving folk/pop anthem by Buckingham, who adds a good melody progression and a slight slide lead guitar in conjunction with the rolling shuffle of rhythm by Fleetwood. Christine McVie’s ballad “Warm Ways” follows and immediately establishes the diversity of Fleetwood Mac’s new sound. This soulful ballad, built on electric piano and a nice, subtle mixture of acoustic and calmly picked electric guitars, was released as the lead single from the album in the UK. “Blue Letter” features lead vocals by Buckingham with harmonies by Nicks and is an upbeat, quasi-county, Eagles-like California tune. Originally intended for a second Buckingham Nicks LP, the song was written by Michael Curtis and Richard Curtis in 1974. Stevie Nicks’ introduction to the Fleetwood Mac audience arrives in one of the group’s most indelible songs ever, “Rhiannon”. The song is lyrically based on a Welsh legend of a goddess who possesses a woman. This soft and mysterious ballad lays nicely on top of a thumping bass line by John McVie and rich group vocal harmonies during the hook. Buckingham adds slight guitar leads in the spaces where needed, making for an all around great song, which peaked at #11 on the pop charts in the summer of 1976. Another hit single, “Over My Head”, follows as a pure, mid seventies pop song by Christine McVie which is steady and pleasant throughout. 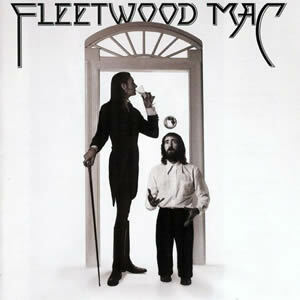 This track also features some non-standard rhythms, especially the bongos played by Fleetwood subtly in the background. The album’s first side ends with “Crystal”, a soft rock / alt country song featuring acoustic guitar and electric piano. While written by Nicks and originally featured on the 1973 Buckingham Nicks LP, this track features Buckingham on lead vocals with Nicks adding much backing harmony throughout. “Say You Love Me” is a pop track built on a simple piano riff with sparse and slow chord changes during the verses and a bit more movement during the choruses. Led by Christine McVie, the song features pleasant melodies and harmonies and a classic minimal guitar lead by Buckingham, all making for the third big from this album. Nicks’ “Landslide” is the album’s high-water mark. With a simple arrangement featuring fingerpicked acoustic with the slightest guitar overdubs by Buckingham and exquisite vocals rendering the philosophical lyrics by Nicks. Reserved, sparse and beautiful the song paints a great lyrically scenery and features a great, distant electric guitar lead, which perfectly fits the vibe and mood of the song. After a long intro with fade-in of bluesy guitar rotation by Buckingham accompanied by animated hi-hat action by Fleetwood, the song proper of “World Turning” arrives with alternating lead vocals between Buckingham and Christine McVie. A pleasant enough sounding song with Christine McVie providing a nice mix of piano and organ to her lead vocals, “Sugar Daddy” does lack the compositional quality of much of the material earlier on the album. However, the music recovers on the closer “I’m So Afraid” as rolling drums set a dramatic mood matched by Buckingham’s equally dramatic vocals and later fine, harmonized lead guitars. Among dedicated fans, Fleetwood Mac is often referred to as the “White Album” and, while this only experienced modest success upon its release, the group’s heavy touring pushed the album to the top of the charts, 15 months after its release. Following the massive success of Rumours in 1977, interest in this 1975 album was re-ignited and it eventually was certified 5x platinum in sales. First album with Buckingham Nicks, and therefore just a stone’s throw from the creativity of the Buckingham Nicks album, which is (to this day) one of my favorites, and some of their best work. I like the BN version of “Crystal” better, but I feel that the addition of BN to Fleetwood Mac resulted in the best lineup that the band ever had. 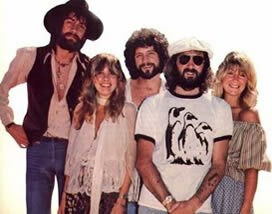 I am someone who enjoys music that features a lot of harmony singing, and Fleetwood Mac definitely has that. Plus, Lindsey’s ability to produce songs was a real bonus, and even Christine McVie has been known to comment that since he joined the band, her music has been taken to a whole new level. Aside from Rumors, I would say this is some of the best work from that particular lineup. My favorite track is “Rhiannon”, but really, aside from “Sugar Daddy” (just never really cared for that one) I think all the tracks are fantastic.